900mm long. Jaw capacity 80mm. Forged steel handle. Deeply serrated and har..
Rothenberger 7.0353 Stillson Pipe Wrench Features Size 14in / 350mm. Heavy du..
300mm long. Jaw capacity 40mm. Forged steel handle. 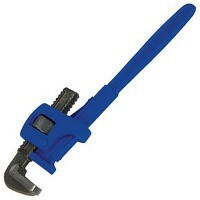 Deeply serrated and har..
Rothenberger 7.0351 Stillson Pipe Wrench Features Size 10in / 250mm. ..
250mm long. Jaw capacity 30mm. Forged steel handle. Deeply serrated and har..
600mm long. 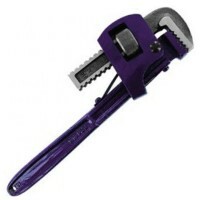 Jaw capacity 80mm. Forged steel handle. 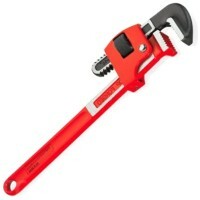 Deeply serrated and har..
Rothenberger 7.0350 Stillson Pipe Wrench Features Size 8in / 200mm. Heavy dut..
450mm long. 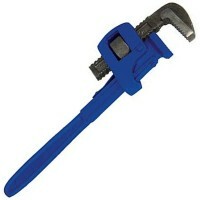 Jaw capacity 60mm. Forged steel handle. Deeply serrated and har..
350mm long. Jaw capacity 50mm. Forged steel handle. Deeply serrated and har..